When the right vertuous E.W. and I were at the Emperour’s court togither [in Vienna in 1574], wee gave our selves to learne horsemanship of Ion Pietro Pugliano . . . He said . 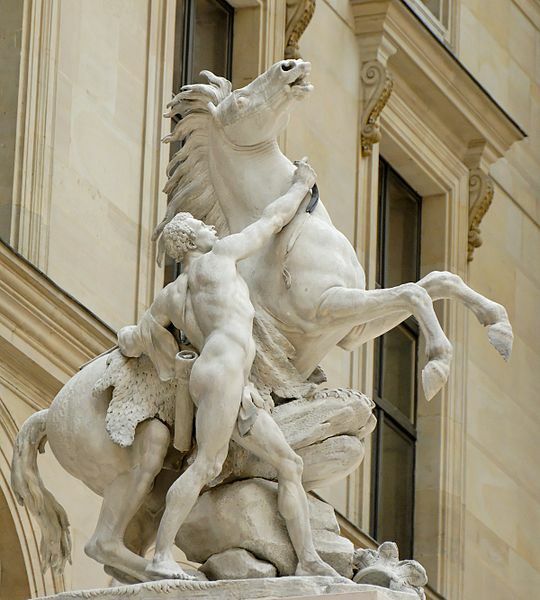 . . horsemen were the noblest of soldiers . . . they were the maisters of war, and ornaments of peace, speedie goers, and strong abiders, triumphers both in Camps and Courts: nay, to so unbeleeved a point he proceeded, as that no earthly thing bred such wonder to a Prince, as to be a good horseman. Skill of government were but a Pedanteria, in comparison then would he adde several praises, by telling what a peerless beast the horse was, the only serviceable Courtier without flattery, the beast of most bewtie, faithfulnesse, courage, and such more, that if I had not beene a peece of a Logician before I came to him, I think he would have perswaded mee to have wished my self a horse. From Sir Philip Sidney’s Defense of Poesie. Found in Patrick Leigh Fermor’s A Time of Gifts. 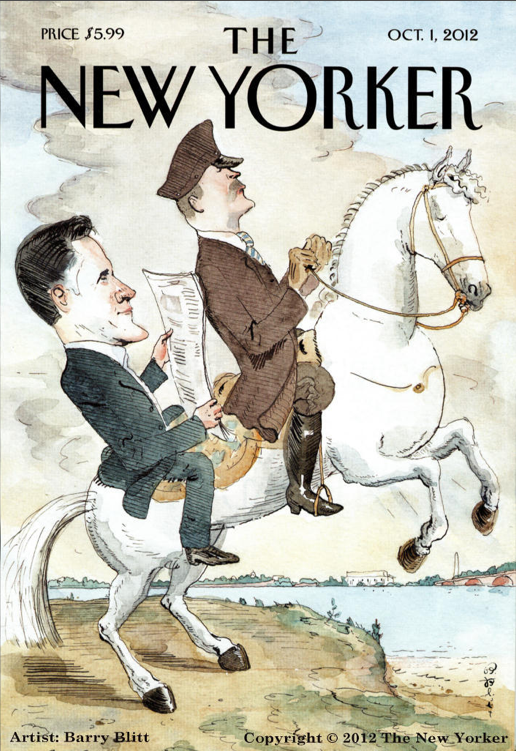 The US election is over but how could I forget to blog this October 1st New Yorker cover by Barry Blitt? I’m not sure that a horse with a back that long could pull off a levade, but I’m amused that Mitt’s “dressage horse” appears to be a Lipizzaner. I didn’t even clock that the chauffeur’s uniform isn’t that of an élève at the Spanish Riding School. That’s what we call “horse blindness”. Images of the horses at Wanderreiten im Havelland.